Isn't the part when software updates for your device are announced.. more exciting, than newer smartphones? May that be a Android, iOS or even a Windows phone. Mostly this is because your Device can actually flaunt it's excellence with newer software, without the need of any new hardware. Well if you own any android phone which has a tag - 'Nexus' on it, Google's rolling out something for you next week that you might be interested in. You guessed it right, Android Marshmallow. let's dive deeper. This is that time of the year when every major player in the Tech Industry rolls out device updates/upgrades to their ecosystem of devices. Back at Google IO 2015, Dave burke previewed us the newer version of Android known as Android M(Past). Over the course of months, 3 developer Previews were made for legacy nexus devices so that anyone could flash it on their device. 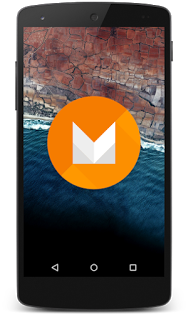 3rd or last Developer Preview actually came out with the official name- 'Android Marshmallow Developer Preview 3', where the M part got revealed. Google even had confirmed that this'll be the last developer preview & Android Developers can expect the final release anytime soon. But this week at their Nexus Launch event, Google announced that Android Marshmallow has hit the final stage & it'll will be seeded to existing nexus devices coming next week. Also AOSP devices might be updated if the manufacturer wants to do so, As Google will be seeding the source code. It was obvious that Nexus 5,6,7,9 & Nexus Player were going to be the first few android devices to receive the Marshmallow update. But it was similarly striking to know that the update was seeded the very coming next week. Google is also focusing on their lower end 'Android One' project this time around, as Android One devices will also receive the Marshmallow update next week, as they've also seeded the security patches to Android one devices. As we know that they've had problems with pushing the earlier update, but let the bygones be bygones. Google also confirmed in a blog post that Android 6.0 source code will be forwarded to AOSP project, so that device manufacturers can grab it, which could be applied & pushed to their existing or future android phones. Although User's who can't find their devices in that list above should probably wait, as these are the very first few devices to receive the update. Folks having Nexus 4, nexus 7(2012) & nexus 10, I've two thoughts.. firstly Google provides 2 years of device software updates so there might be a bitter choice taken, while 2nd thought that comes to my mind is that, who knows you might be on the next list.. next month or so? We've to wait for it. Infact Htc's next smartphone launching 20th Oct this month will be one of the first devices(Manufacturer) to launch with Marshmallow on-board, So will it be newer version of Htc Sense UI? I don't know. 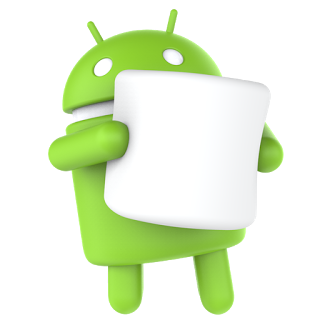 But we do know, without a shout of a doubt that newest android phones will be shipping with Android marshmallow. Again, If you were wondering about the SD card thing, yes it's official with the name- 'Flex Storage'. You can install apps/games on your SD card, when formatted as encrypted expanded storage(Which will happen as you install the update) as this'll be provided now in stock Android. Spoiler Alert: Only Sandisk SD cards are supported for such encryption. Sighs, existing SD cards on your devices... I know what you just felt there. Also, Once you've formatted the SD card via Marshmallow, it cannot be used on any other device, So keep that in mind ! Also usage of OTG pendrives/supported accessories get a lot easier with in-built device manager. 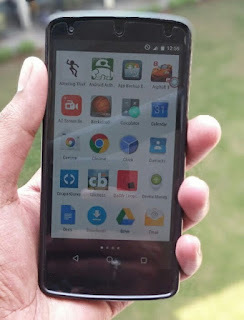 Now to those of you wondering about, OTG access on 1st gen Android One devices. Don't be misunderstood by the fact as it's the official statement. See the original blog post it's an OR statement that is made with respect to SD card, so OTG cannot be accessed on a device if the hardware is not capable of doing it(Also if the manufacturer disables it). Although it is still a dilemma in my mind, whether Splitview Multitasking will be provided, or it'll makes it way in maybe android 6.0.1 or 6.1? So that's basically it, make sure you have enough device memory left next week to grab the update, right after it reaches you. Make sure you copy/cut the SD Card data(Android One) on your computer so that formatting gets easier without any data on the Card. Also the update will be pushed regionally, consider this as a fact. Hey Google has promised it & so they'll deliver it throughout this week. #UPDATE : Mostly All SD cards are Supported for Flex Storage, OTG access doesn't work on Android One devices after the update.